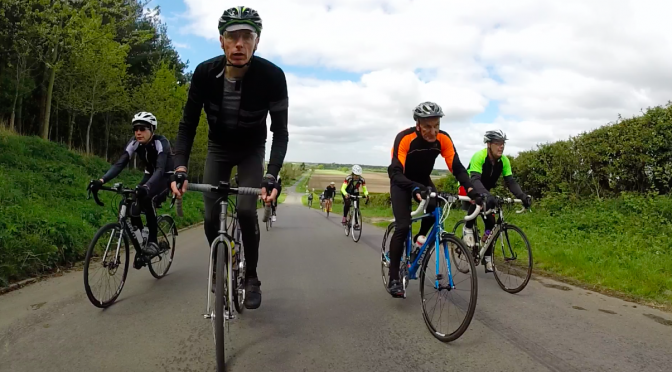 The previous weekend the Cottingham Road Club ( CRC ) outing had been a pan flat ride ( well nearly ) to Naburn near York. The weather had been glorious, the first warm and sunny weekend of the year. The cafe stop was idyllic, lounging in the sunshine at York Marina on the River Ouse. There was beer quaffing and at least one of our number seriously contemplated a dip in the river. Luckily Geoff was not aware of the main sewage treatment works for the city of York less than a mile upstream. 43 olympic swimming pools worth of sewage processed every day and yes I actually googled that stat. Yes it is Geoff, yes it is. Things were going to be vey different this weekend though….the hills were back.